There are lots of silly holidays these days, from National Guacamole Day all the way to National Clean-Out-Your-Fridge Day. Most of them are shameless plugs sold by public relations flacks on behalf of big companies. But International Street Vendors Day, celebrated around the world each November 14th, is something different. It is not trying to sell you anything. Instead, the point is simply to recognize the contributions that vendors make and raise awareness on the significant challenges they face, from India to Spain to Kenya. And yes, here in New York. We always try to celebrate this special, if slightly made-up, day. A few years ago we did clean-up after Hurricane Sandy, last year we celebrated with vendors at our office, and this year we had a dumpling-making event with some close friends and supporters. We also reached out to a bunch of StreetNet affiliates around the world and compiled this very short video greeting. Enjoy! Not a lot of events can keep going strong for fourteen years! 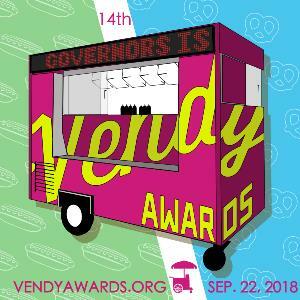 But the Vendy Awards, our annual fundraiser / cook-off festival for the best NYC mobile food vendors, is something special. This year's event, held last Saturday, was no different. With blessings of the weather gods, we had a gorgeous day, as usual. More than a thousand people boarded the ferry to Governor's Island to partake. There was excitement in the air, as 25 vendors cooked their hearts out in five categories, including our special Best Breakfast prize. While not everyone could take home the Vendy Cup (left, with overall winner Royal Halal Food) it felt like everyone was a winner. The vendors got some great press, which should give their businesses a boost. Their stories got told, helping change the narrative about the quality of food on our city streets and the people who make it. And the issues we fight for at SVP got understood just a little bit better. Around the world, a majority of street vendors are women. In Bolivia, about 80% of vendors are female. In Zimbabwe, that number is 70%. No matter the country, women vendors are worse off than their male counterparts. They invariably have fewer resources, and they face greater issues of safety and harassment, including by law enforcement officials. In New York, the majority of vendors are men, but the number of women is significant and rising, even though their stories go relatively untold. A survey we did last year of vendors in Corona, Queens found that a whopping 79% of vendors in that neighborhood were women! At SVP, we have always had strong women leaders, and our current Leadership Board is no exception. Several of them, like Eliana, Kele and Heleadora (left) have reinvigorated our Women's Committee, which (with the help of some of you!) rented a space and sold at Harlem Day yesterday, not just talking about women's financial empowerment, but doing it. Sometimes you have to run as fast as you can, just to stay in place. That happened with the introduction of three anti-vendor bills at City Council last week which are being pushed through council at breakneck speed. One of these bills would evict 22 vending businesses from various streets around the World Trade Center, in Lower Manhattan - putting about 30 people out of work. The impetus? According to the NYPD, vague "security" threats that a vendor might plant a bomb in their pushcart. To us, that sounds Islamophobic, especially given that 18 of these 22 vending carts are Muslim-run. In fact, vendors are good for public safety, and these vendors often report suspicious people and packages to the police, helping keep us all safe. We organized about 50 vendors to testify at the hearing yesterday, got great support from allied organizations, and generated some good press hits. But we'll have to keep fighting to keep these streets open to vending - and safe ! These vendors are part of our community. They are #notathreat. 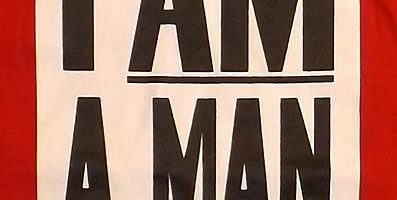 President Trump's calling immigrants "animals" this week has many people rightly taking note of how dangerous is such dehumanizing language. But vendors, so frequently the target of racism and anti-immigrant bias, are used to being portrayed as less than human. Way back in 1938, Deputy Mayor Curran described a band of flower peddlers who "infested" his neighborhood. And even today, vendors still get described as locusts, leeches, and "bees in a hive." And that is in public - just imagine what is said behind closed doors! Until things change, we'll keep on policing language -- because it matters -- and demonstrating the humanity of every flesh-and-blood person who sells on the streets of our great city. Neutral processes don't always produce fair outcomes. Why? The playing field is not level to start. Which is why it is never enough for the government to "hold a community meeting". Who came to your meeting? Who even knew about it? Was translation provided to those who showed up? This idea was illustrated beautifully this week in this City Limits article on the NYPD's efforts to improve police-community relations. Even if the police had the best of intentions, these meetings became outlets for wealthy residents and business interests to complain about marginalized folks, including the homeless and street vendors. Note to NYPD: instead of spending $3.5 million on slick ads, you could just ask vendors next time. Or ask us to! We have lots of members who would love to give you a piece of their mind. Every day, it seems, another beloved restaurant, flower shop or shoe-shine-place closes it doors due to rising rents. Everyone now agrees that loss of mom-and-pop small businesses in NYC has reached a critical level. Invariably, the spaces remain vacant for months or years, making matters worse. The causes of this problem -- gentrification, greed, and the rise of online retailing -- seem too complex, and maybe event impossible to root out. But that is what government is for -- to correct unfairness of the unregulated, and inefficient, free market. Today, the City Council released a report -- Planning for Retail Diversity: Supporting NYC's Neighborhood Businesses -- that lays out 20 concrete steps our elected officials can take. Rather than scapegoating street vendors as part of the problem, the report acknowledges that vendors are also small businesses, and they can and should be part of the solution. After all, every vendor we know dreams of having a roof over their business one day, including SVP member Christine Lynch, who testified at the Council's hearing on the issue on behalf of so many others. If the whole world knew about street vendors, it would be a better planet -- especially for the millions of vendors who live here! Part of our work at SVP involves educating the general public about the vendors and the important role they play in our city. This month has been a busy one for that. We helped a big group from NYU link up with vendors on their Big Walk (left) through Jackson Heights, we toured East Harlem vending sites with first-year med students at Mount Sinai, and we even taught a CLE (Continuing Legal Education) in Food Truck Law! Get in touch if you ever want us to come and talk to your group about vendors and SVP! With an anti-immigrant president, many street vendors -- and not just vendors! -- are justifiably scared. In New York, many vendors are undocumented, and just as many are Muslim -- two groups Trump has singled out. Due to their frequent contact with the criminal justice system, vendors are particularly vulnerable during these scary new times. However, vendors are not just feeling scared -- they are organizing. On November 21st we participated in a Sunset Park rally organized by Council Member Carlos Menchaca. On December 2nd, we took part in the Jackson Heights “Hate Free Zone” rally. And yesterday -- Inauguration Day -- we stood with other NY Worker Center Federation groups to launch Freedom Cities, a worker-led response to Trump’s agenda. We will continue to be at the forefront of organizing, without fear, to advance diversity, inclusivity, and peace. Unlike taxi drivers, who are constantly in motion, vendors are usually fixed. We see the same ones every day. They become part of our neighborhoods. That desire -- to profile vendors as fixtures in their neighborhood, informs our summer market at Vendy Plaza. This fall, with support from the New York Council for the Humanities, we are offering a free walking tour of East Harlem, where Vendy Plaza takes place each Sunday. This tour covers stories from the past and present at La Marqueta, NYC's oldest remaining public market; and stops at a local botanica and area community garden; and other sites that illuminate the neighborhood's dynamic cultural landscape. We are proud to offer this tour, in English and Spanish, in conjunction with Turnstile Tours. Sign up here.